Sustainability is, quite rightly, a hot topic, with documentaries like Drowning In Plastic clearly illustrating the need to drastically reduce our single use plastic habit. Luckily, you can kill (or in this case, save) two birds with one stone, as lots of small shops are offering alternatives to products we use every day, so by investing in them you will help an independent business and the planet. Win win. Something I would like to add is that although these products are initially more expensive than their disposable counterparts, they are built to be more durable and save you money in the long run. Swap gradually as and when you can, every change makes a difference. "If you think you are too small to make a difference, try sleeping in a room with a mosquito." Whether you're taking your own first steps or encouraging someone else's, this box is the perfect pick, as all of the items are so easy to integrate into everyday life. It includes metal straws, a bamboo toothbrush, a cotton tote bag, and a reusable coffee cup, so just one box can eliminate loads of plastic or non-recyclable items. 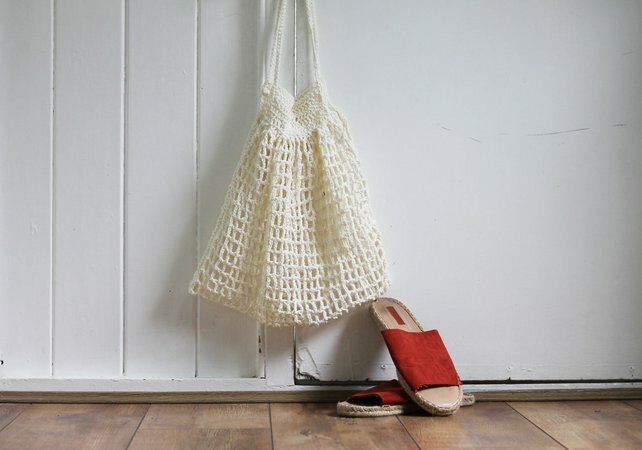 These retro string bags made a comeback over Summer, and as well as making a great fashion find, they are of course a great swap for plastic grocery bags at the supermarket. As well as this cream colourway, they are available in rust or navy, or you can preorder a custom colour. Gift idea: order one in your recipient's favourite colour and fill it with a few natural beauty treats or eco homeware bits for a 'sustainable starter pack'. Face wipes are Satan's creation, agreed? They don't help your skin, they don't degrade, they block drains, and they're packaged in single use plastic. The one benefit of them is that they are convenient, but there are tonnes of replacements out there, with CloudCloths being one I've tried and love. One side is soft while the other has a slightly rougher texture, so they're perfect for cleansing the face, but they could just as easily be used for children or household cleaning. My top tip is to soak one in warm water then pop it in a freezer bag in your handbag or car so it's ready to use, clean, repeat. This set is such good value! 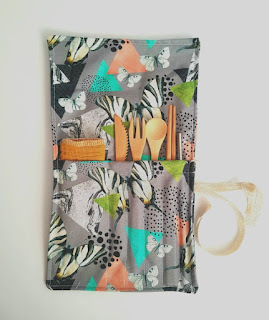 Inside the pouch sit a bamboo knife, fork, spoon, and chopsticks, a metal straw, and a cotton napkin, so you're fully prepared to eat on the go and no longer have to rely on plastic cutlery wrapped in yet more plastic. Just pull out your set, eat, then either pop into a public bathroom to rinse your utensils or wipe them on the napkin and wash it at home. They also have different prints and children's sets. 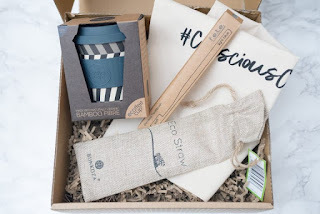 An all around good-eggy company that ships in plastic free packaging and donates 10% of profits to Tower Hill Stables Animal Sanctuary, so in this case you're supporting a small biz, Mother Earth, AND cute animals- that's got to earn you some good karma, right? Although they sell a variety of items, it's their health and beauty range that caught my eye. These shampoo cubes contain essential oils and coconut milk, the aloe vera mascara is refillable and kind to sensitive eyes, and the deodorant balms use sodium bicarbonate and clay for a fresh, dry feeling. They're all vegan and cruelty free too! As well as providing the fab quote above, this company stocks all sorts of homeware that I didn't even know existed. Whether you're shopping for yourself or hunting down a gift for a new homeowner, you'll find something that's both practical and pretty. You really don't have to sacrifice good design here. 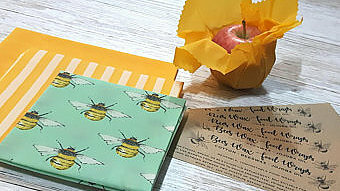 My top picks are the vegan wax wraps which mould to the shape of your food like foil, but can be washed and reused, and the cotton bowl covers which sport a fun floral design and stretch over any bowl to protect the food inside. What swaps would you suggest? Prices correct at time of writing. Photographs belong to respective businesses. It's no secret that my skin is far from perfect. I am 'blessed' with scaly skin dotted with angry cysts, like a lumpy lizard. Mmm. 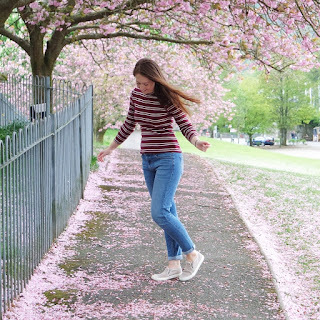 Exfoliating it is a really important step in keeping it as happy as possible, and my favourite method is to gently exfoliate every day to prevent any dead skin building up. One way I like to do this is by cleansing with a thick, nourishing cleanser, and removing it with a damp cloth. I had been using ordinary flannels but I noticed that my skin sometimes felt a little raw because the grains of the cloth are too large to use morning and night, every day. Items in this post have been gifted in exchange for honest review. 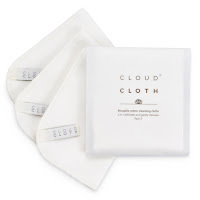 I didn't want to give up my lovely, buttery cleansers, so it was clear that the flannels had to go, and in their place I've been using CloudCloths*. 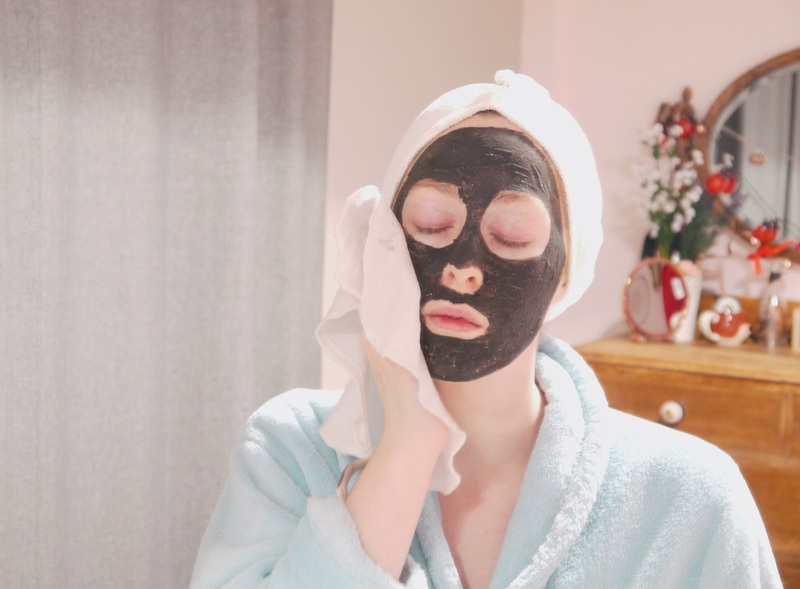 They're super soft on one side and very slightly grainy on the other, so the thick, durable cloth is perfect for removing all of your makeup and really getting into every corner, then gently buffing for a softer, brighter complexion. Use the soft side alone if your skin is sensitive, and if it feels especially congested simply apply a little more pressure and move in small circles for a deeper scrub on the areas that need it. My only qualm with CloudCloths* is the size. I found them a little too small, as they don't drape over my whole face like a flannel would, so I do find it takes more effort to properly cleanse every bit of skin. On the bright side, I realised that the smaller size and thickness of the cloths makes them ideal for creating homemade, reusable wipes. Just roll them in a freezer bag, add water or micellar water, and you have wipes that will clean messes from you and your children quickly and gently, then be tossed in the washer for next time. Swap ordinary water for micellar water and you have makeup remover wipes ready for the nights when you know you'll be too tired for a full cleanse! How do you like to cleanse? *items were gifted in exchange for review. This does not alter my opinions or honesty. North West girl recording life's little joys. Happiest with sand in my toes, a pen in my hand, and cake in my tummy.